I'm so proud to be British. I feel so honoured to be in this country, enjoying all we have and the the fantastic people amongst us. It was a great experience to indulge with other Britians in the Queens Jubilee... seeing the union jacks grace car windows, shops and garage doors, made me feel extremely patriotic. With this all in mind I decided to dive straight into the celebrations with all those people I love. 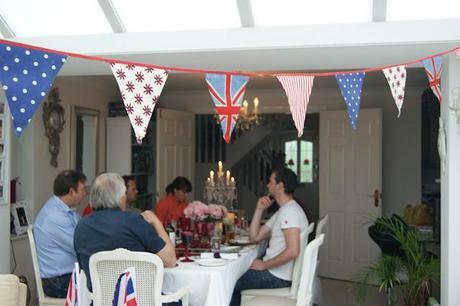 The bunting was an utter must when hosting a jubilee get together. The one I've gone for can be reused and has different kitch patterns - Tea Party bunting is £20.00 but I hand on heart say its the best investment I've made since my bicycle, as I can reuse this. It's not plastic, it's actually cloth! 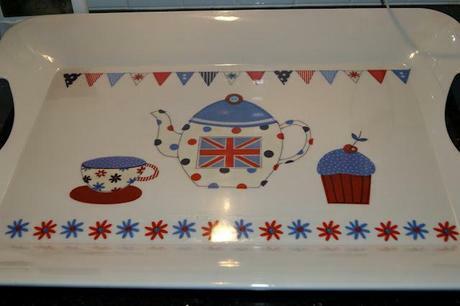 Plus I love the polka dots and other patterns teamed with our union jack. On Monday the weather was totally against us so my family decided to have a roast dinner and enjoy each others company. 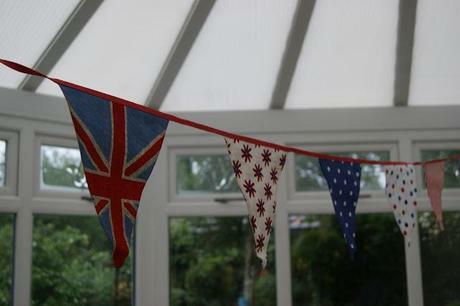 We had a few token decorations in the building to keep us patriotic... and the weather made us feel very British! 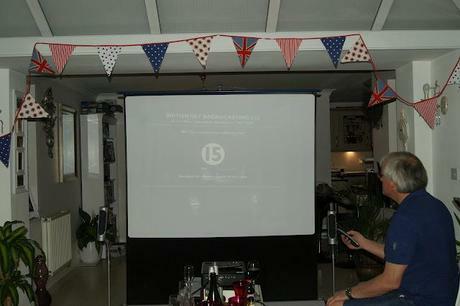 The next day after the roast dinner gathering, we decided to get together again to watch the jubilee concert. 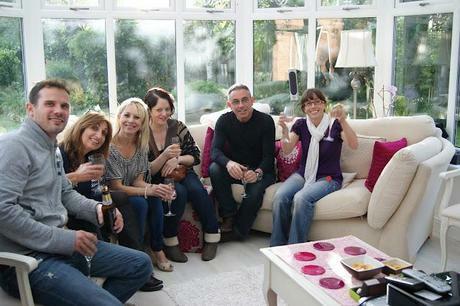 Opting for a huge projector screen and using the conservatory for our celebrations - it was even good weather! As the weather was pleasant I decided to take Gertie (my bike) out for a spin, up the hill to my Mum & Dad's house. I had a very lazy day, had slept loads, gone shopping then returned to my flat and whilst watching A Little Princess on ITV2 ... I baked! 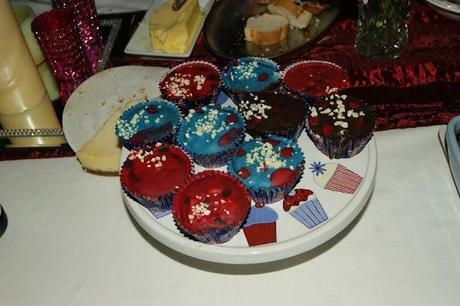 I made some yummy chocolate cupcakes in union jack colours with polka dots. Before anyone eyes up the photo below of them, I cycled and popped them in my basket... apparently they didn't enjoy the journey and got totally squashed en route! This is why they look such a mess! Thankfully they taste better than they look... whoops! All ready for the concert fun! 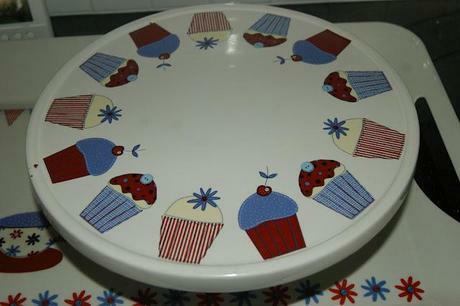 The cake stand is my contribution to keep things patriotic - its perfect for tea parties as well! 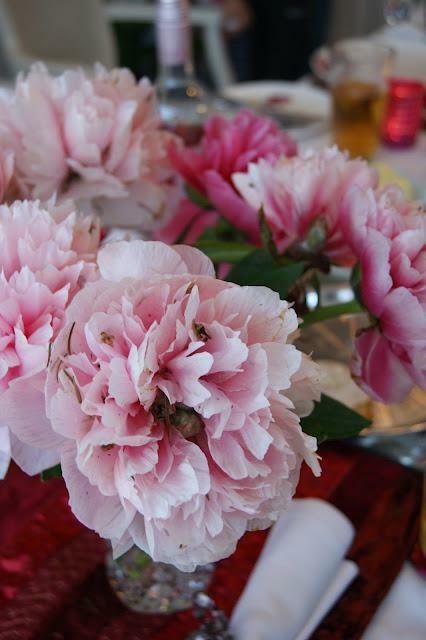 It's from the fabulous company English Table. 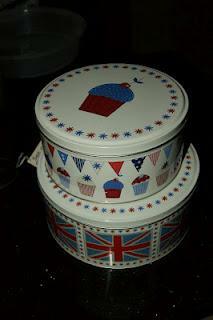 It's £24.00 and ideal to display your cakes... preferably not squashed ones like mine! 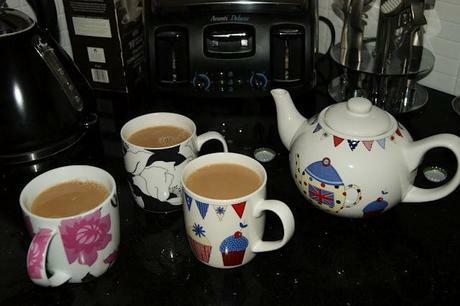 I know this all works perfectly with the jubilee, but who is to say it can't work for other celebrations? What about hosting an Olympic party?! Wait... that's not a bad idea! Watch this space! 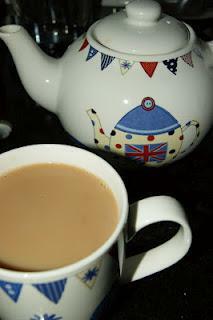 As the concert drew to a close it was time for some well needed tea. There was plenty of champers enjoyed but there is always a time for a spot of tea. I fell in love with this vintage inspired tea pot - and since it was only £18.00 I felt it was a great investment for my tea collection. You'll be pleased to know I decided to carry my remaining cakes back in my matching tins - they were £10.00 and really well made. 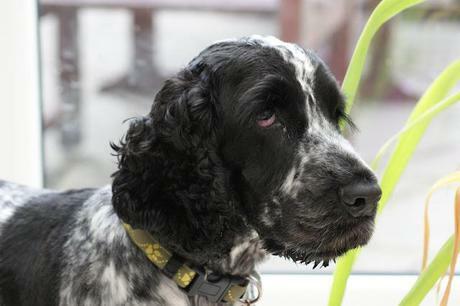 I'd left them at my Mums - so maybe if I'd of had them to start with, you could seen how fab my cakes originally looked! Nevermind! To finish off such a fantastic couple of days, I woke this morning and went for a long walk over the fields with the dog. He was happy to be out and about running in the beautiful British country side. What more could you want in life?! 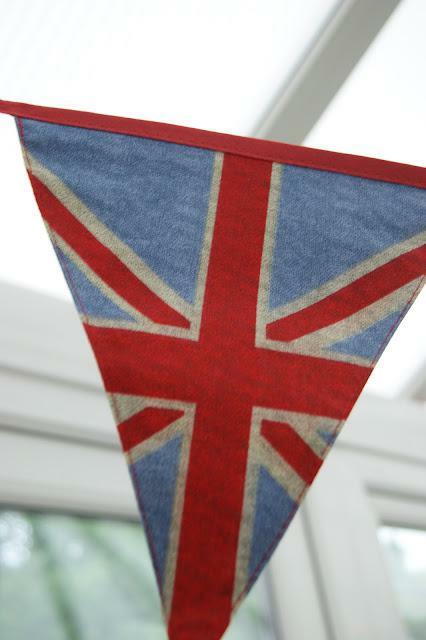 I hope you all embraced The Queen's Jubilee as much as I did. We really are very lucky to have so much history and culture to enjoy on our doorstep.